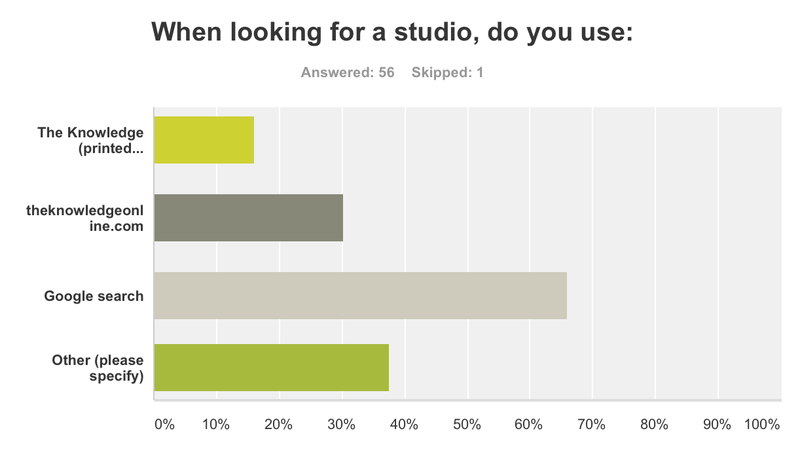 Three weeks ago I created a survey to try and work out how people looked for or heard about Mount Pleasant Studio, specifically whether they used an online or printed directory or Google to look for studios. A few days later I wrote this blog asking readers to respond. In total 56 people were kind enough to click the link and although it’s a small sample, and possibly skewed towards people working in commercials, it still gives a good indication of how people look for film and tv crew and facilities, including studios. 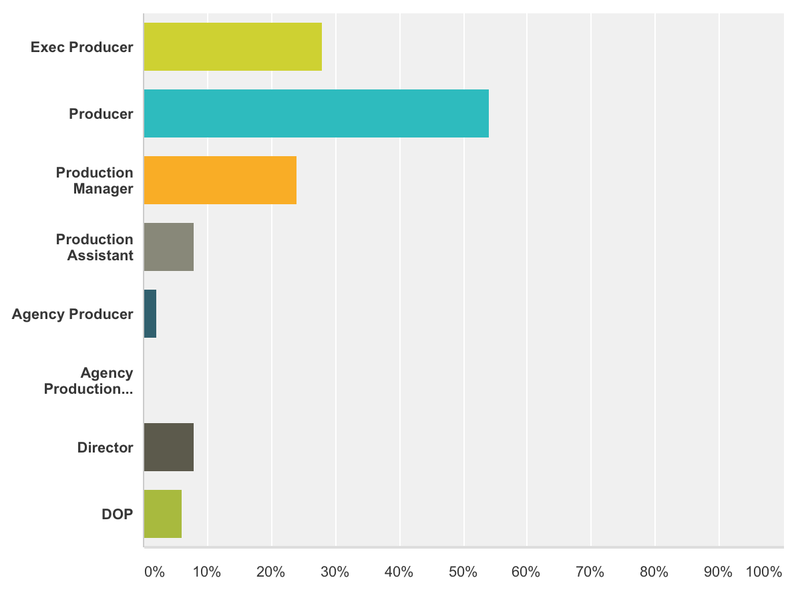 First of all here’s a graph of the occupations of the respondents; There were lots of producers, exec producers and production managers. Someone said they were “All of the above except DOP!”, there was also one “dogsbody” and even one “Queen and Dogsbody”. I imagine that if more production assistants had replied, Google would have got an even bigger result. However even without young P.As, the results were conclusive. Two thirds said they use Google to find studios, while just under half use the Knowledge, either online and printed. Kays and KFTV barely registered. Production Guide had a relatively low result, presumably because it is used internationally and to research foreign crew and facilities. I was glad to see that The Knowledge, which I used when I was in production, is still the most used and trusted directory. I’m more ambivalent about the success of Google, especially as our website only appears on page 3 of results for some search terms. 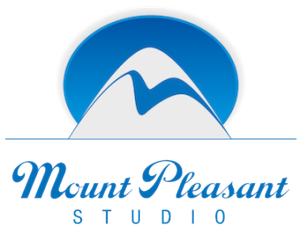 That being said, according to Google Analytics, 70% of visitors to mountpleasantstudio.com arrive via Google (40% via organic search and 30% via clicking our expensive ads), so something’s working. 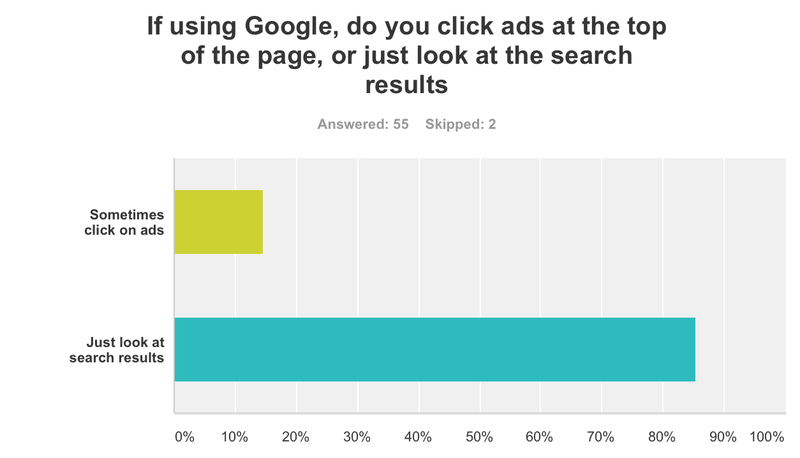 As part of the survey I asked whether people clicked on the ads at the top of search pages. 15% said they did, 85% that they didn’t. Quite a few people – those who clicked ‘other’ – replied that rather than relying on Google or directories, they prefer to trust “Word of mouth” and “crew recommendation” (which suits me as people like our studio). Others said they ask for recommendations from colleagues, contacts and use their production company’s own sources and experience. Some said they know all the available studios already. One sensibly just wrote ‘Mount Pleasant’. Someone suggested the Production Support Group on Facebook as a good source of information, which I can also recommend if you’re in production. I’ve become slightly obsessed by Google Analytics, which shows you how many people visit your website, the search terms they use on Google, which cities they’re in, how long they stay on the website and how many pages they look at before they’ve had enough (and which page them leave from). I’m happy to say that 75% of visitors are coming to the website for the first time, which is encouraging. I think. So whichever way you look at it, Google is the future. In spite of that, my advice would be to bookmark The Knowledge Online. Everything you need to know is there.